BIG Bellies – drugs or lifestyle change? We have a major problem in our society . . . we’re fat! Especially in the belly. Why? Are some of us presupposed by our DNA to struggle with weight? Are we just lazy? Is it all because of what we eat? There are an estimated 23.6 million people in this country with diabetes. It all comes down to insulin resistance. What does insulin do? It helps the body utilize glucose – it’s really the key that unlocks the cell door so glucose can pass into it from the bloodstream. Once inside the cell, glucose is used either for energy or stored for use later in the form of glycogen in the liver and muscles. Insulin resistance occurs when a normal amount of insulin is not able to open that cell door so the body secretes even more insulin in an attempt to maintain normal blood glucose levels or when there aren’t enough insulin receptors (the average overweight person has 75% less receptors). So, glucose stays in the bloodstream which is sent to the liver and then converted into fat and then stored throughout the body. These fat cells are even more insulin resistant and often coalesce near the middle – a lot of belly fat. Other symptoms are: headache, day-time drowsiness, insomnia, fatigue, frequent illnesses, sugar cravings, erratic and insatiable appetite. And then there’s Metabolic Syndrome – Syndrome X a result of having three or more metabolic risk factors: insulin resistance, elevated blood pressure, abdominal obesity, high lipids – TG, LDL, etc. What’s the treatment? Do we treat the problem with drugs or with lifestyle changes? a third study was ended when interim results showed more deaths in volunteers using diabetes drugs for intensive blood sugar control. So what’s the answer? Lifestyle change – the right nutrition and exercise. It’s simple. Age old. Cliche. But it works. We just don’t want to have to change. 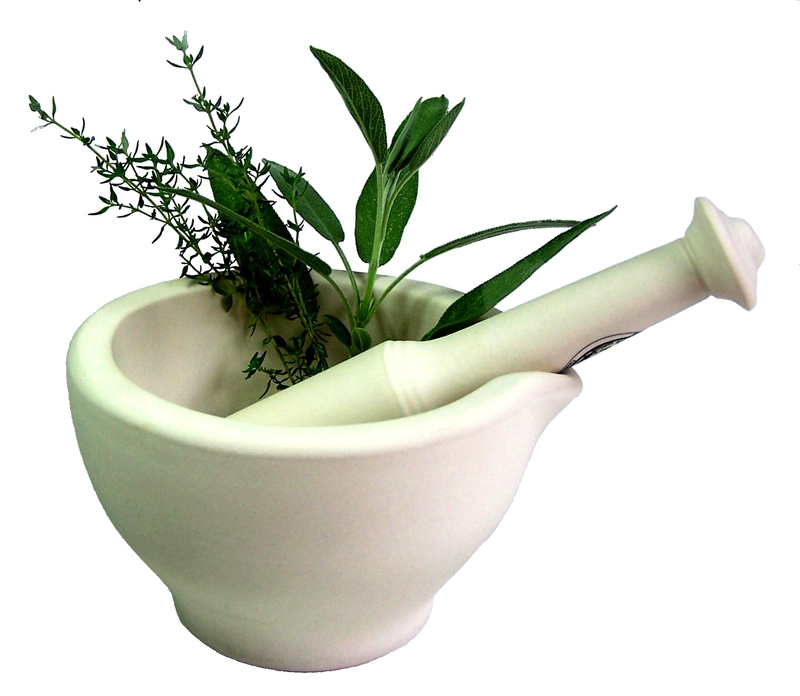 Herbal treatments – Fenugreek, Guar Gum, apple pectin, beet powder, oat fiber, etc. A restorative or naturopathic physician should always be consulted when creating a pathway to change when dealing with insulin resistance and metabolic syndrome. What are your thoughts on treatment insulin resistance leading to metabolic syndrome? We’ve been talking the last month about the bacteria, fungi, yeast, etc. that can build up in the gut and how to treat the issues that occur as a result. One of the overarching ways to take care of the gut is nutrition. There isn’t anything more convenient and effective on the market today than Juice Plus+. It is a complete vegetable and fruit supplement in a capsule. It is the actual vegetables and fruits themselves, so the body can process the nutrition just as if you were eating that many foods. Clinical research has showcased the benefits of adding Juice Plus+ to your diet and it’s those studies that impressed Dr. Baucom of The Baucom Institute to take a closer look at the product and eventually start herself, her family and her patients on it. The Juice Plus+ Clinical Research that is published in medical and scientific journals can be accessed via pubmed.gov. Pubmed is part of the National Library of Medicine of the National Institutes of Health (NIH) . It is one of the most reputable resources for obtaining peer reviewed journals articles. There are over 20 gold standard studies that have been conducted in leading hospitals and universities around the world. Because of this substantial evidence, Juice Plus+ stands above the rest in nutrition effectiveness. How do you supplement your diet? If you are a doctor or nutritionist, what do you use to enhance your patients’ nutrition? Hi. My name is Beth Rose. I am one patient among many. I’m one patient among many others who see Dr. Karan Baucom and who has seen significant changes from diagnosis and prescribing changes for me in my daily life. I began to see “Dr. B.” a few months ago because I was having several symptoms that began to worry me about my health. I have been a fairly healthy person throughout my 52 years. I was very active when I was younger up until I had my children. Like a lot of moms, our kids take precedence, and we forget about taking care of ourselves! Over the last 20 years I have begun to have aches and pains in my joints, fasciitis in my feet, increasing back pain, terrible heartburn especially at night, increasing fatigue, no energy for running around with my kids, and the last few months terrible pain after eating in my upper torso. I have felt a mess and, with working our business that my husband and I own, I know the stress of that has contributed to the issues. I had talked to Dr. B. about my family’s health a lot but Dr. B. asked how I was doing. She knew I was under a great deal of stress and could see the fatigue and lack of energy. I made an appointment and soon was undergoing several tests, including a full blood workup, sonograms, and mammogram. When Dr. B. got the test results back, she sat me down and gave me the most thorough report I’ve ever heard about my health! I was amazed with all the information and how it all linked together. My hormone levels were out of whack, I had gallstones, there are nodules on my thyroid, and I have several food allergies among other issues. I was totally shocked. With advice and direction as well as prescribing a vitamin and bioidentical hormone supplement regimen, I am beginning to feel good again. I have increasing energy and less fatigue each day. Even better, my outlook on life is much more positive, which I think that has everything to do with the hormonal balance. I appreciate my family physician, who we have been going to since our children were babies, but Dr. Baucom, as my specialist in Restorative Medicine, has been a life changer for me personally. I’ve never seen anyone take so much time with their patients, not only to diagnose and treat but to also educate. I’ve been through the “School of Longevity” at The Baucom Institute. I hope to graduate with flying colors in the few next the months to come! Something tragic has happened in America’s clinical health agenda. Doctors have trained patients to rely on medicine for the answers rather than on learning ways to help themselves prevent their reliance on medicine or on medical help. The medical community has it all backwards. You go to the doctor and you get medicine to deal with your issue. You go to the pharmacy to get the medicine the doctor prescribed to deal with your issue. In all that time, there is only an emphasis on how to treat the symptoms of the real problem not really prevent the problem from happening in the first place. At Baucom Institute, for instance, we go to great lengths to find where the patient is in terms of their health when they come to see us and then through extensive testing we determine the proper course of treatment and educating the patient how to change their own lifestyle so that they can help themselves change their own course toward health. The Baucom Institute is interested in a quality of care with outcome measures which include: improved laboratory test profiles, enhanced strength, increased endurance, and a greater feeling of wellness as the patient works along with Dr. Baucom to achieve personalized life enhancing goals. What has your experience been in working with a doctor? What have the results been for you? Dr. Baucom recently presented her seminar “Gluten, The Silent Enemy” at the KU Edwards Conference Center and in Lawrence. In her talk, she brings up the importance of eating fresh fruits, vegetables and berries and how they are anti-inflammatory to the body, vital for healing the gut and improving circulation. She mentions Juice Plus+, which is 26 fruits vegetables and berries concentrated in a capsule or soft chewable. She briefly goes over the more than 20 independent clinical studies that have been done using this product. One of the gold standard studies she expounded on was conducted at the University of Maryland. The subjects of this double blind study ate a high fat breakfast at a popular fast food restaurant and then had their brachial artery measured. They divided into 3 groups: a placebo group, a group on Juice Plus+ fruit and vegetables and a group that was on Juice Plus+ AND Vineyard Blend which is 9 different berries. After 28 days they returned to the fast food restaurant for a repeat of the same meal and then to the lab to have the constriction measured again. The Placebo group demonstrated the same 50% restriction which lasted anywhere from 2-6 hours! The second group (JP+) measured 16% restriction. That was a 66% improvement and very significant. The third group (JP+and VB) had NO constriction at all. This is significant! This study was deemed so important that it was published in The Journal of the American College of Cardiology, 2003 issue, one of the most esteemed publications in the medical field. The facts are hard to ignore. This is one study of many over the last 20 plus years Juice Plus has been providing nutrition. Do you believe in supplementing your diet? Do I Really Need To Supplement? In today’s society the most common medications prescribed are for depression, hyperlipidemia (cholesterol), heart disease, and inflammation. Most of these conditions are thought to be brought about by society’s failure to recognize deficiencies in vitamins and minerals. Certain of these vitamins and minerals, to include those that help glands maintain their integrity and their ability to function, are lacking in the foods we give our children and ourselves. You could not possibly eat enough of the foods you need to give you the nutrition you need. In fact, researchers say you would have to eat 13-14 oranges a day to get enough vitamin C to support your immune system every day! Supplements are intended to provide essential nutrients that the body needs to function efficiently. We believe they should be pharmaceutical grade, of the highest quality and in a form that is easily available for absorption. These essential nutrients consist of vitamins, minerals, essential fatty acids and amino acids that cannot necessarily be made by the human body. The supplement industry is crowded with sales and marketing firms that promote their products as the answer to health related problems. Some of these companies are master marketers that package and promote their products to both consumers and to physicians for sale to their patients. For the average consumer, all of this product hype and marketing can be very confusing when trying to determine what they should be taking to promote health, vitality and longevity. As a nation of consumers we spend a good part of our health dollar with the supplement industry. Everyone’s level of essential nutrients and needs are different so a personalized supplement regimen should be followed. Independent laboratory certifications of quality, absorption and ingredients should also be established in order to get the best supplements on the market. What supplements do you take and are you seeing results from taking them? We would love to talk to you about your regimen and give you a health analysis to see if you are taking the right supplements. Contact us at The Baucom Institute.